Bodega Marañones is the epitome of natural elegance, without artifice. A microclimate within the D.O. Wines of Madrid, a large number of old vineyards of indigenous varieties (mainly Grenache and Albillo Real) and a visionary and talented winemaker who knows how to interpret them (Fernando García Alonso, co-founder of Comando G) are the quintessence of this winery that strives to rescue vineyards and varieties in total communion with the environment to produce fresh, delicate and elegant wines. Altitude wines with its own identity and singularity. Location: the vineyards of Bodega Marañones are located in San Martin de Valdeiglesias, one of the three sub-areas of the Denomination of Origin Wines of Madrid, at 70 km West of the capital. It borders Avila and Toledo, at the foot of the confluence of the Sierra de Guadarrama with the Sierra de Gredos, crossed by the river Alberche. Sierra de Gredos is a clear example that we can distinguish several terroirs in the same denomination of origin, depending on the microclimate. This privileged enclave meets very particular and conducive characteristics to make outstanding wines: altitude, dry Mediterranean climate with wide thermal fluctuations between night and day and granitic soils. Summers are hot and winters are long and cold but tempered, as this area is protected against North winds (allowing vineyards to be less susceptible to be attacked by fungal diseases such as mildew and oidium). The estate: 20 hectares shared between unirrigated old bush vines (between 30 and 70 years old) of local varieties (mainly Grenache and Albillo) and Mediterranean forest, at an altitude of between 650 and 850 meters above sea level. The acidic soils of the vineyards (pH 5.5 to 7), with high levels of silica and low levels of organic matter, proceed from the mechanical weathering of the granitic rock. Soils are mainly made up of sand or silt. These granite soils provide a high level of natural acidity to the grapes as well as a great mineral expression. Method and philosophy: absolute care of the grapes as the main element of the whole process, communion with the environment with the least impact as possible and a minimum intervention in the winemaking process. Bodega Marañones uses organic farming methods, which is the best way to express the terroir and minerality of the wines and keeps a healthy environment. Each plot is vinified separately and manually, in order to express the purity and characteristics of each soil and vintage. The principles of biodynamic which are applied on the vineyards and during the winemaking process contribute to produce well-balanced wines between freshness, acidity and tannins, that are authentic, elegant, with a strong personality. The personality of the owners and the winemaker of Bodega Marañones also strongly influences the result: they have clearly defined ideas, they are warm and welcoming and still stay really humble even being so bright. The only feelings they can awake among people who approach them are interest and appreciation. Respect applied to both nature and people who work with them is reflected in each of their wines. Winemaking takes place in foudres and wooden vats made of organic oak of the highest quality (French brand Grenier). To age the wines, they use larger French oak barrels between 500 and 700 liters in order to avoid an excessive presence of wood.  The result: elegant wines that are the subtle blend of the different nuances derived from the characteristics of the soil, the climate, the vineyards, the manufacturing process and the way of being and of realizing of the entire team of Bodega Marañones. Fruity, tasty and well structured. Vineyards between 30 and 70 years old. Single vineyard wine, old vineyards (70 years old). Single estate wine, vineyards between 50 and 70 years old. Single vineyard wine, vines between 50 and 70 years old.